Who says a romantic dinner has to be in a fancy restaurant, with a hefty bill? This coming Valentine’s day, show your love by setting up a DIY dinner that is even more romantic when you do these easy preps! Your beloved probably wouldn’t complain if you’re sitting on monoblock chairs, but they’d really appreciate it when you splurge on special details. 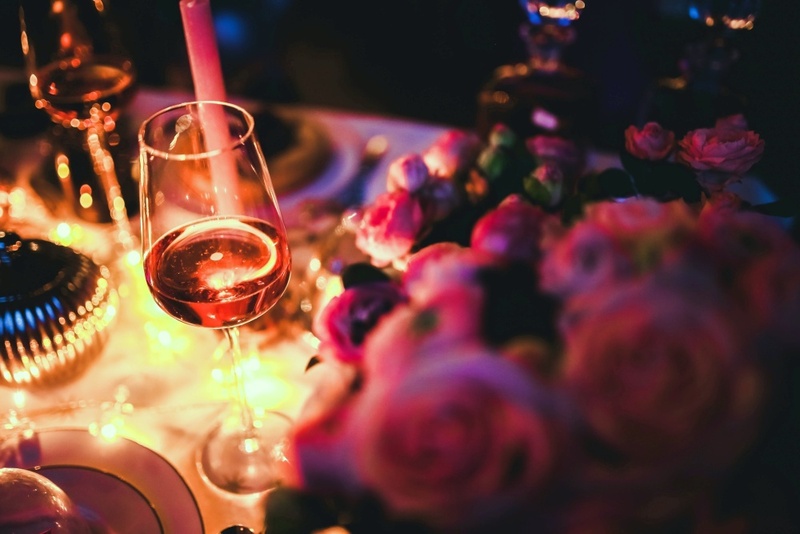 Impress your date by decorating your table with linen, lace, a small bouquet of fresh flowers, and a candlestick. Time to bring out those plates and glassware you’ve kept hidden in the china cabinet. Give a lot of thought on the colors that you’d use, as you don’t want to cause an optical migraine from your setup. You can only define something as romantic because of the ambience. Draw up a good playlist, a mix of songs that you both listen to (keep the beats down, though — you don’t want it to sound like a nightclub). If you’re having the dinner outdoors, take extra time to trim the surroundings and keep them neat. If it’s indoors, deck the room with not just the usual romantic touches like flowers and chocolates but also your beloved’s favorite things. You don’t have to spend much here — anything from rose petals to printed pictures of your good times together would suffice. Tie in the design of the table to the design of the entire room. You can also do mood lighting by wrapping your regular light bulbs with colored cellophane, or by investing in one of those projectors that would make lights dance on the walls. There are lots of recipes available over the Internet for a romantic dinner, and many of them can be done with just a handful of ingredients and a short prep time. But if cooking isn’t your forte, don’t torture yourself over a complicated menu. So long as it tastes right, it’s worthy of your dinner. Your effort counts for something, too! You don’t have to don a tie or a gown, but dress up in such a way that makes the dinner the special occasion that it is! There, isn’t that simple? You’d have to divide your time wisely between the setup and the kitchen, but at the end of the evening, everything would be worth it! 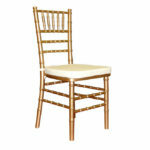 Do you think a pair of throne chair rentals or gold Chiavari chair rentals would make the evening extra special? We do think so! Call Signature Event Rentals now to make your reservations.